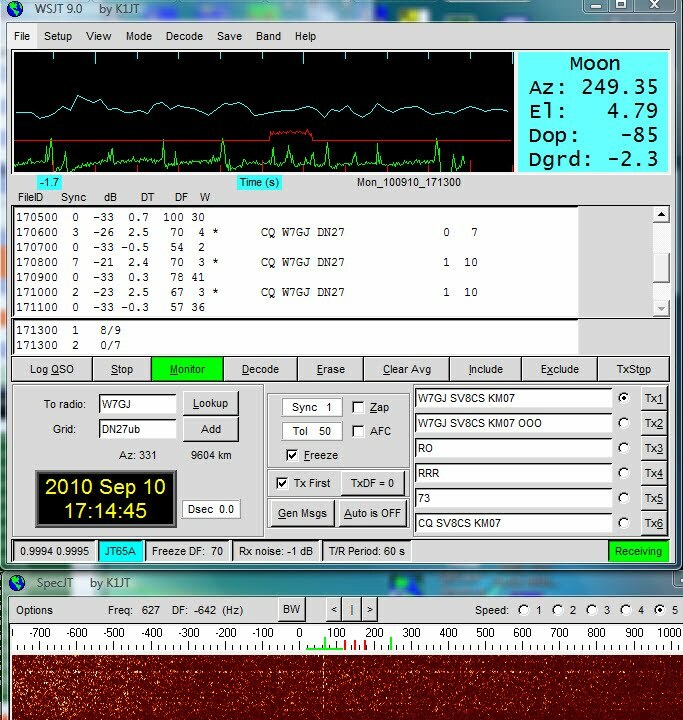 Today 10 Sept. 2010 we have very good EME conditions (Not like the last days) but still GOOD. 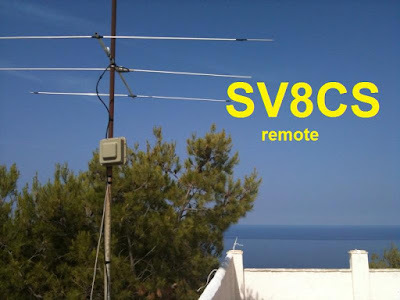 I am receiving Lance W7GJ with my remote (RX only system) with 3 elements beam home made (DK7ZB).The location has a very good take off,overlooking the sea and of course very good ground gain. I am using the Kenwood TS-480 without any antenna preamplifier, antenna 3 elememts,10m of ecoflex-10 coaxial cable and the WSJT-9 program in JT65A mode. I hope to copy Lance as well from his upcoming 6m EME DXpedition from Fiji Islands (3D2LR , in RH92cq) . Any contribution to help Lance W7GJ, for this rare DXCC 6m DXpedition are welcome.